← Preferred Properties landscaping and Masonry set themselves apart as truly outdoor living master designers. Look at this project. “My customers are really excited about the whole artistic aspect. 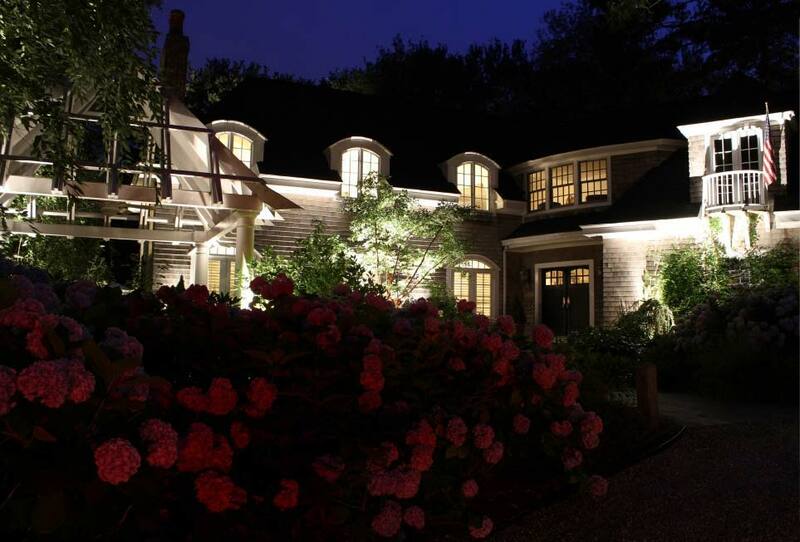 Think of it as painting a picture of the landscape at night, using lights to achieve the look a homeowner wants. I tell them that outdoor lighting is both functional and aesthetic. It is an art to understand how much light to place on a house or determine where the focal points are. Go with a low voltage system. It is cleaner and sharper and subtly accents a space vs. line systems which provides too much lighting and draws away from the fixture and away from the area you are trying to light. Low voltage can be installed without disrupting your surrounding landscape. In most cases it is the better choice. Technology has changed the way lighting is used and displayed. For example consider using a smart timer vs. the less sophisticated pin timer. The smart timer adapts to power outages, automatically changes with Daylight Savings Time, and adjusts to changing seasons. You have complete manual control, too – and as many keypad controls as you wish. You can set up multiple configurations of lighting zones and program each zone to automatically turn lights on and off. Today’s looks offer all kinds of opportunities to transform your property. They range from accent lights used for highlighting specific features to large cylindrical floodlights to entryway lights. Keep in mind that there are different types of lighting for the front as well as the backyard. Click image to enlargeWhat most people don’t realize is that lighting systems are expandable and can be adapted to properties as they grow and owners’ needs change. As landscapes mature, lighting fixtures can easily adapt. Less is more. Overlighting is a common problem, focusing on the source rather than the effect. The bulb and fixture should disappear when the lights are turned on. All that should be visible is the glow of light on the flowers, the wall or the path. A key element of any lighting design is cohesion. This refers to an illuminated scene where the elements are tied together in a way that looks visually pleasing. You can do this by selectively illuminating various plants and trees. If it’s not done correctly, these areas would have been in complete darkness – such darkness distorts the impression of the property, exaggerates the impact of areas that are illuminated, and compromises security of the premises. When looking for professional lighting landscapers, keep in mind they should have experience in how lighting fixtures coexist with plant systems and how illumination affects the visual appearance of various types of plant materials. 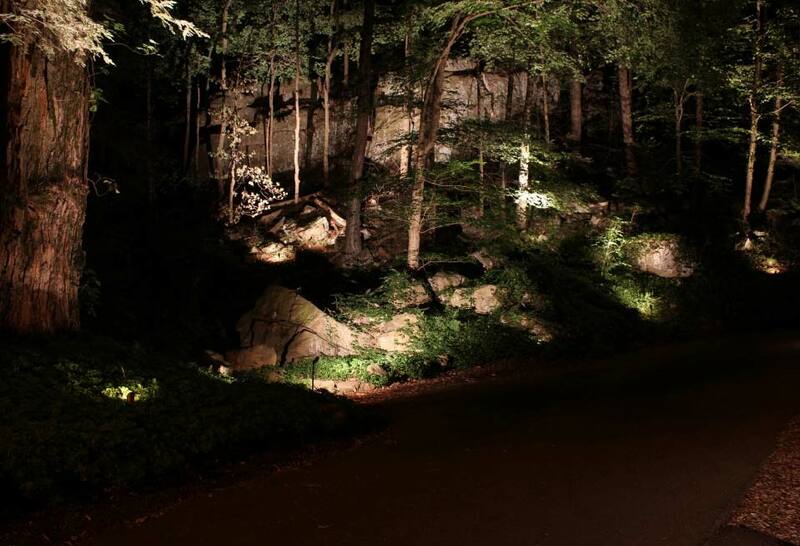 After you hire a professional, he or she will need to visit your property at night because it looks completely different. Several visits should be scheduled to get a grasp of the property’s advantages and limitations. 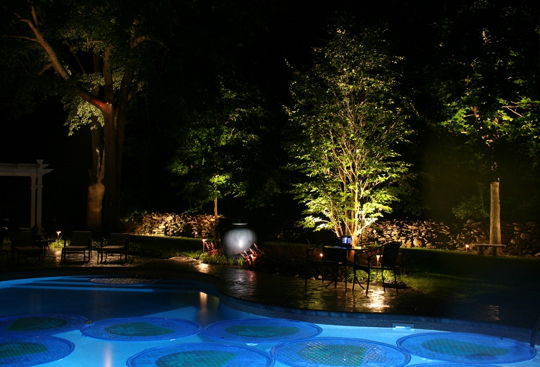 Properly placed, lights can dramatize trees, highlight favorite shrubs and accent statuary, fountains and flowerbeds. Like any creative work, there are myriad options. Coming up in Part 2: Michael discusses how to work with a professional lighting landscaper and why talented landscape lighting designers are also landscape professionals. Find out more about Preferred Properties Landscaping and Michael Gotowala. This entry was posted in designing outdoor security lighting, how to add outdoor lighting to your existing security system, Landscape Design, landscape lighting, landscape lighting design, lighting automation, night lighting, nightlighting, outdoor lighting, Outdoor Lighting / Low Voltage Lighting, outdoor security lighting, secure your home from the unkown by lighting designer Michael Gotowala of Preferred Properties Landscape lighting and tagged landscape lighting, landscape lighting automation, lighting automation, Michael gotowala. Bookmark the permalink.